Belum Temenggor forest reserve is open to visitors all the year round. You can conveniently schedule and book your visit to the rainforest through the Belum Temenggor website. Can't find an activity or experience that suits you or your group among those listed below? Want to organize a team building activity? Contact Belum Temenggor and we will organize together your unique adventure in Belum Temenggor. Ever wondered what’s it like to sleep on a boat in the middle of a large lake embracing a thousands years of an old tropical rainforest in South East Asia? 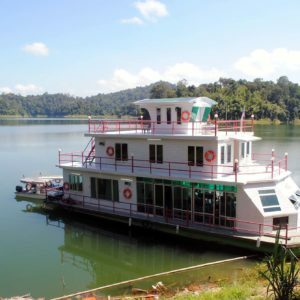 Take a cruise to Temenggor lake on a typical houseboat! The boat is fully equipped with facilities and trained crew, solely for you and your group. The Basic boat have comfortable cabins and can accommodate up to 24 persons – making it ideal for your family, group of friends or company members. During the cruise you will participate to different activities, such as trekking, visiting natives, swimming in a waterfall and lake, fishing, BBQ under the stars, and even karaoke! Belum Rainforest Resort is a 4 star Eco Rain forest Resort located in the fringe of Royal Belum Temenggor forest complex. This package deal includes: two (2) nights stay at the Belum Rainforest Resort in full board (2 breakfasts, 1 packed lunch, 2 dinners for two persons) plus one full day excursion at the Royal Belum state park for two persons. This is the perfect tour for a group of maximum 06 people (each boat). 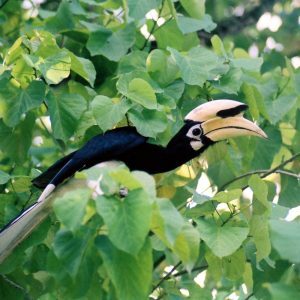 This full day tour will bring you to explore the birds of Royal Belum state park. 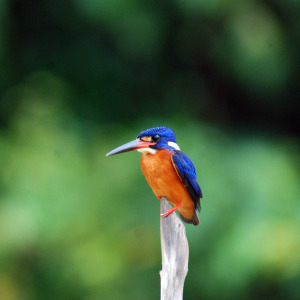 This is the perfect half day bird watching trip for a group of maximum 06 people (each boat). 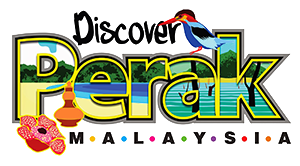 This tour will bring you to explore the Temmenggor nature reserve . 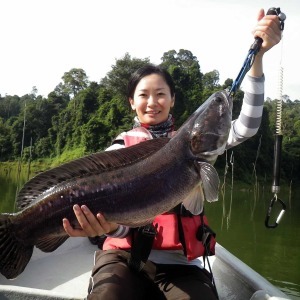 Experience the thrill of chasing giant snakehead fishes in one of the most beautiful settings that Malaysia has to offer to worldwide anglers! The Royal Belum state park is a very attractive fishing destination for beginners and die hard anglers to pit their skills. Upper Belum is known for its very rich population of several aquatic species and the very limited human activities in the area of the state park can deliver great possibilities of huge catches! The largest fish for which the entire area is most famous for is the giant snakehead, locally known as “toman”. The largest specimen can weigh up to 20 kilograms, truly a “fishzilla”. 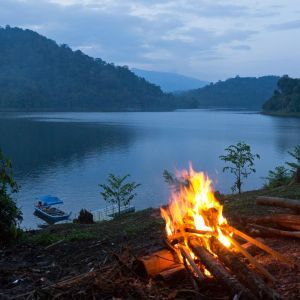 Treat yourself with a very private and exclusive fishing trip in Belum and explore the beauty of one of the World’s oldest rainforests growing on top of an amazing lake! Ever wondered what’s it like sleeping on a boat in the middle of a large lake embracing a thousands years old tropical rainforest in South East Asia? 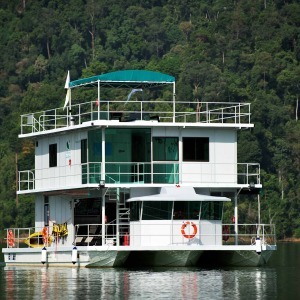 Take a cruise to Temenggor lake on a typical houseboat! The boat is fully equipped with facilities and trained crew, solely for you and your group. The Deluxe boat have comfortable cabins and can accommodate up to 20 persons – making it ideal for your family, group of friends or company members. During the cruise you will engage in different activities, such as trekking, visit native people, swimming in a waterfall and lake, fishing, BBQ under the stars, and even karaoke! Ever wondered what’s it like cruising on a boat in the middle of a large lake embracing a thousands years old tropical rainforest in South East Asia? 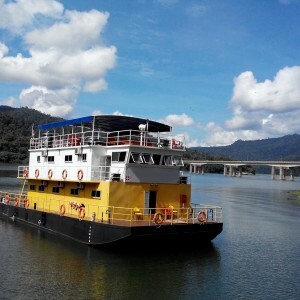 Take a cruise to Temenggor lake on a quality houseboat! The boat is fully equipped with facilities and trained crew, solely for you and your group. The Deluxe boat have comfortable can accommodate up to 20 persons – making it ideal for your family, group of friends or company members. During the cruise you will engage in different activities, such as trekking and visit native people! The perfect full day excursion for those who wish to wander and explore the Temenggor nature reserve in a single day. Due the easy & short trek, this excursion is accessible to all ages. The Temenggor nature reserve is located at the lower part of Belum-Temenggor forest complex. Although the rainforest is a single, contiguous ecosystem and there’s no biological difference between the upper Belum and the lower Temenggor, the areas are regulated differently. For visiting Temenggor you won’t need entry permits and thus entering this area will be less expensive. 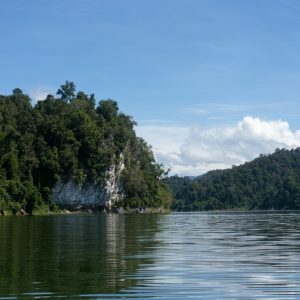 Included in this experience: cruising the Temenggor lake by boat, trekking in the rainforest, spotting the Rafflesia, following elephants’ trail after a salt lick area, visiting an Orang Asli village and trekking to a waterfall deeper in the jungle. Packed lunches are included in your tour as well. Education Trek is a half day trip that will brief you about Conservation and monitoring project involving in Belum Temenggor. An ideal tour for student or anyone else interested to know about conservation in the area. The Temenggor nature reserve is located at the lower part of Belum-Temenggor forest complex. 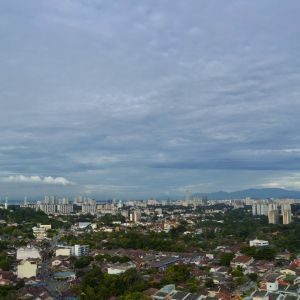 Although the rainforest is a single, contiguous ecosystem and there’s no biological difference between the upper Belum and the lower Temenggor, the areas are regulated differently. For visiting Temenggor you won’t need an entry permits. 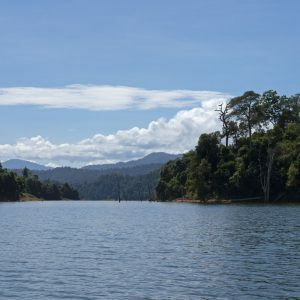 Included in this experience are: cruising the Temenggor lake by boat and trekking into its rain forest. This is the perfect outdoor package for a group of friends, nature and camping lovers. Suitable excursions for a minimum of 02 and a maximum of 08 peoples. This package deal includes: one (1) night camping in a open space (1 breakfast, 1 packed lunch, 1 BBQ dinner) plus one full day excursion at the Royal Belum state park. The perfect full day excursion for those who wish to wander and explore the Royal Belum state park in a single day. 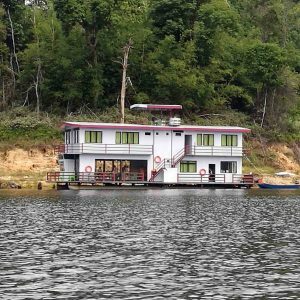 The Royal Belum is the upper part of the Belum-Temenggor rainforest complex which can be reached by boat from Pulau Banding, the starting point of your trip. The upper Belum is a more of a wild area than the lower part of Temenggor, since access and human activities are more regulated there. Included in this experience are: cruising the Temenggor lake by boat, trek into its rain forest, learn about the endemic wildlife, visit an aboriginal village and bathe in waterfalls. Packed lunches are included in your tour as well. 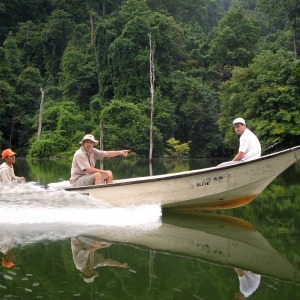 Your perfect half day fishing trip at the Temenggor lake. The Royal Belum state park is a very attractive fishing destination for beginners and die hard anglers to pit their skills. Temenggor lake is known for its very rich population of several aquatic species and the very limited human activities in the area of the state park can deliver great possibilities of huge catches! The largest fish for which the entire area is most famous for is the giant snakehead, locally known as “toman”. The largest specimen can weigh up to 20 kilograms, truly a “fishzilla”. An half day excursion to get the best parts of Temenggor nature reserve in a single, convenient trip. A similar experience to the full day excursion in Temenggor but made shorter for those who do not want to want to trek for very long in the forest or are transiting Belum Temenggor area on their way to Penang, Ipoh or Kelantan and have less time in their hands. Besides cruising the Temenggor lake, many of the full day activities are included also in this itinerary. 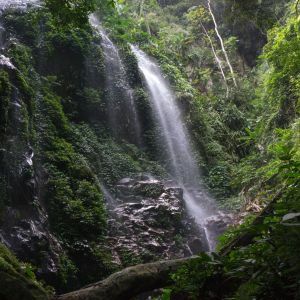 You will do jungle trekking, have the opportunity to bathe in a waterfall in the midst of a tropical rainforest, take your chances in spotting the Rafflesia flower and visit one village of a local aboriginal people. Packed lunches are included in your tour as well. The boat is fully equipped with facilities and trained crew, solely for you and your group. The Junior Superior boat have comfortable cabins and can accommodate up to 30 persons – making it ideal for your family, group of friends or company members. During the cruise you will participating in different activities, such as trekking, visiting the natives, swimming in a waterfall and lake, fishing, BBQ under the stars, and even karaoke! The boat is fully equipped with facilities and trained crew, solely for you and your group. The Standard boat have comfortable cabins and can accommodate up to 16 persons – making it ideal for your family, group of friends or company members. During the cruise you will participate in different activities, such as trekking, visiting natives, swimming in a waterfall and lake, fishing, BBQ under the stars, and even karaoke! Ever wondered what’s it like to sleep on a boat in the middle of a large lake, embracing a thousands years of an old tropical rainforest in South East Asia? 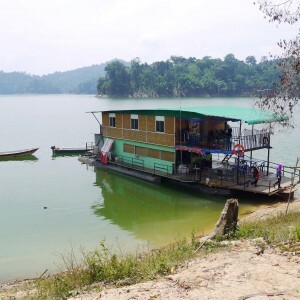 Take a cruise to Temenggor lake on a typical houseboat! The boat is fully equipped with facilities and trained crew, solely for you and your group. The Superior boat have comfortable cabins and can accommodate up to 40 persons – making it ideal for your family, group of friends or company members. During the cruise you will participate in different activities such as trekking, visiting the natives, swimming in a waterfall and lake, fishing, BBQ under the stars, and even karaoke! On the way to Kuala Besut or Merang from Belum or the way around? 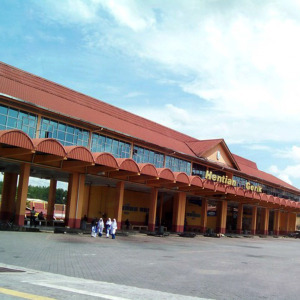 Get your transportation from West to East coast of Malaysia! Need to go from Belum to Perhentian, Redang or Lang Tengah island? 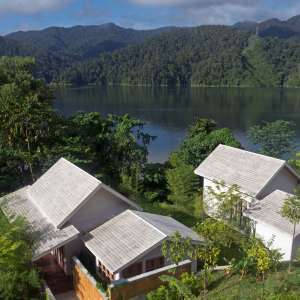 Want to extend your holiday in some tropical island after your rain forest excursion in Temenggor? Don’t have own vehicle? We got you covered. You can book your private transfer with your own chauffeur for you and your group – no matter how big or small. The journey will take approximately 4 hours per way to your chosen destination. 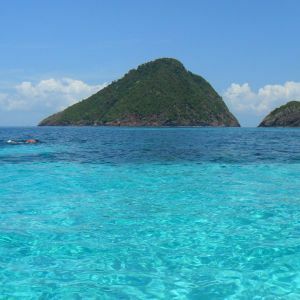 Need to go to Belum from Pulau Penang? 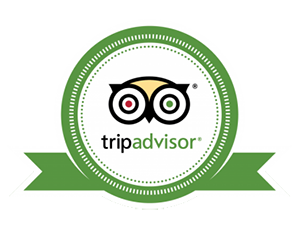 Want to visit George Town after your rainforest excursion in Temenggor? Don’t have your own vehicle? We got you covered. 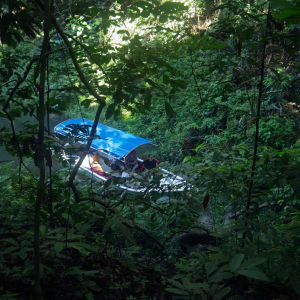 If you want to reach Belum from George Town (Penang) or want to get there after your visit to the rainforest reserve, you can book your private transfer with your own driver for you and your group – no matter how big or small it is. The journey will take approximately 3 hours per way to your chosen destination.